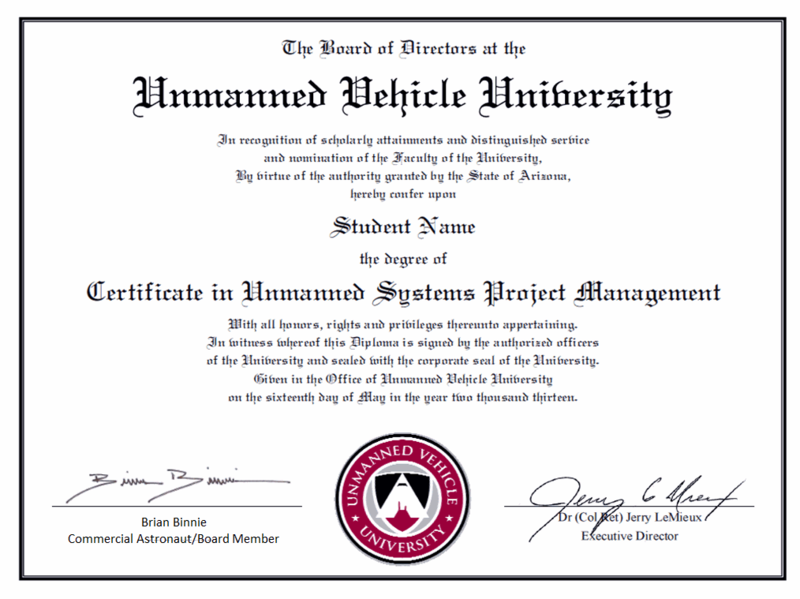 Obtain the training to manage the unmanned systems of the future. 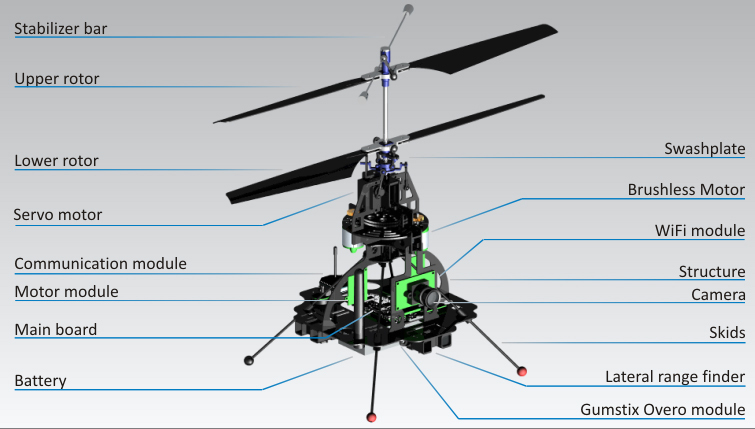 You will receive the hardware and software to go through a series of labs to build and test a small UAV. All of UVU's courses are taught online and we offer affordable tuition. Click the application process button to get started. Obtain the training to manage the unmanned systems of the future like the X-47 UCAS. Unmanned Aircraft systems engineers are critical to the positions of technical management and development of complex unmanned aircraft systems. These professionals are responsible for planning, coordinating, and budgeting group efforts that translate operational needs into technology requirements. They use their skills to determine whether a system will meet cost, schedule, and performance goals. Systems engineers perform a central role in realizing an unmanned systems success; they are in great demand by industry and government. 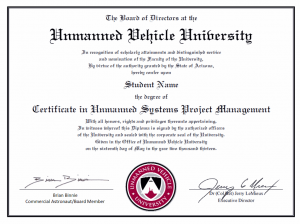 The Certificate in Unmanned Aircraft Systems Project Management is for students who want to enter the Unmanned Aircraft Systems Career Field. 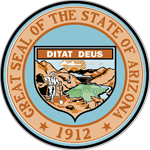 A high school diploma or above and high school algebra is required for entry into this program. The curriculum is four courses (16 credits) taken over 12 week quarters and all courses are online. Students will use course management software to read lectures, technical papers, observe videos and receive assignments. The assignments will be papers, simulations, problem assignments and take home exams. The small UAV course will allow students to design and build their own UAV for possible use in a UAV business. UAV project management course includes cost estimation, market analysis, schedule development and technical performance evaluation. Students will perform trade studies, learn about preliminary and detailed UAV design, study component and subsystem test and integration. The project management course includes preparation for the Certified Associate in Project Management (CAPM) certification by the Project Management Institute (PMI). PMI certification formally recognizes an individual’s competency in project management process and is widely acknowledged as a significant accomplishment by practitioners in the field. There are over 1,000 companies building the unmanned vehicle, parts and sensors and there will be thousands more in the next several years. 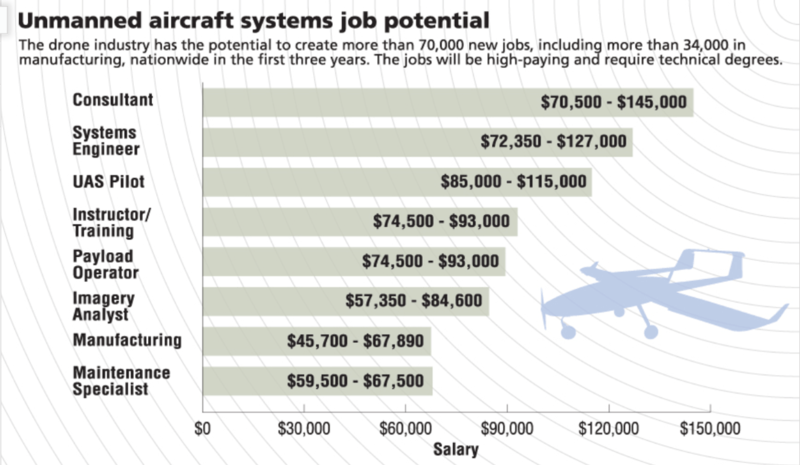 Graduates will be able to start their own UAV business or enter the unmanned systems career field in the jobs listed below.